Carpet can be made from many different materials. Each material has its benefits, and sometimes shortcomings. The best way to find out which carpet fiber is right for your needs is to first think about who and how the carpet is going to be used. Homes with children or pets may opt for carpets that are easier to clean. Take a look below and learn about all the great materials carpets can be made from. Non-dyed wool carpet offers ultra-low toxicity as a flooring option. For those who are looking for an organic carpet, non-dyed wools are the best choice. Using wool’s natural color variation, wonderful carpet patterns are created. Non-dyed wools are woven into beautiful carpet flooring. Great for people with allergies or sensitive to non-organic carpet products. Thanks to it’s unique environment, Britain produces some of the best wool carpet in the world. The harsh conditions survived by Britain’s sheep make it an ideal wool to withstand the rigors of day to day living. It has more resilience than other wool carpets because of the high degree of ‘natural crimp’ in the carpet fiber. British wool is a truly ‘Green’ flooring option. New Zealand’s distinctive environment has enabled wool growers to develop a range of unique systems to meet a wide variety flooring demands. New Zealand wool is highly valued for its rich and vibrant carpet colors. These qualities create stunning aesthetic characteristics, as well as durability and ease of cleaning. Wool carpet from India offers consumers all the benefits of wool carpet, but at a reasonably lower cost. Wool carpet from India may be a little coarser and drier than other wool carpet, but this adds to the durability of the wool carpet. Wools from India are also preferred because of their greater ability to withstand dirt and debris. Australia accounts for 28-30 percent of the world’s wool carpet production. Australia’s number one wool carpet customer is China. They create carpet that is treated for protection against bacteria, mold, odors, mildew and dust mites. 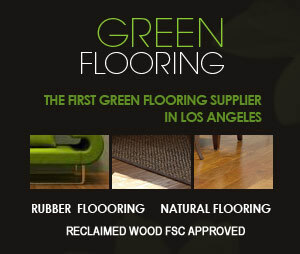 It is a natural flooring product that is completely biodegradable and recyclable. Wool carpet is a flooring favorite because it has the ability to resist wear and tear, and maintain its luxurious flooring quality. Some benefits of wool carpet are: it is soft, comfortable, biodegradable, a rapidly renewable resource, filters allergens and dust, is durable and long-lasting, and an excellent sound absorber and insulator. Most people might not link silk to carpet because of its fragile properties. In fact, silk is not often used in carpet, but it is a popular component for hand-made rugs which are made in the Middle East and India. 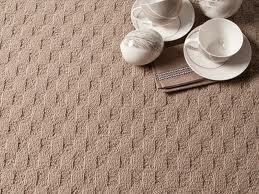 Also, mixing wool and silk to make shimmery carpet has become increasingly popular and creates a very elegant look. Initially, Jute was primarily used as a backing material for carpet flooring, but now it is slowly gaining a following as a a material for carpet flooring and for rugs. The primary characteristic of jute carpet is its texture depth. Coir carpet is developed by using coconut husk fiber, which is very strong and durable. Coconut husks are harvested and left soaking in water for months. After this process, the husks are pounded, washed, and dried. This process produces light yellow fibers which are spun into yarn and then woven into carpet flooring. This material is generally the best one to use if you want to remove moisture and dirt from soles. Sisal carpet is believed to be one of the toughest flooring fibers used to make carpet. Unlike ordinary carpet fibers, sisal flooring can be dyed. 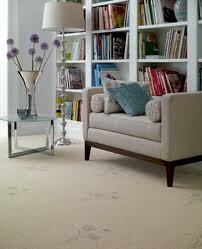 Wool carpet can also be made to look like sisal. It will produce a softer carpet, which is a favorite among flooring manufacturers for its great color and natural beauty. Seagrass carpet is a renewable source. When fields have been flooded with seawater, seagrass is harvested then spun into a carpet which is very durable and not easy to permeate. Although this makes seagrass a bad candidate for dying, seagrass carpet will not absorb liquids that are spilled on it. This makes seagrass carpet a very durable flooring product, easy to maintain, and beautiful to look at. Polyester carpet fiber has the ability to provide a more luxurious feel. Depth in color can also be achieved with polyester carpet. One main issue with this polyester carpet is that it doesn’t lay as flat as other carpet. Nylon carpet is the next best thing to wool carpet. 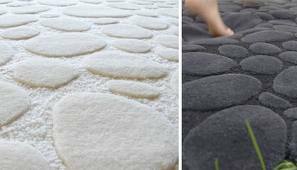 It has unique properties which make it better than wool carpet in certain environments. The main benefits of nylon carpet are that it has good stain resistance, it’s easy to clean, and comes in many wonderful vibrant colors. Nylon carpet is a very strong flooring fiber which makes it ideal for heavy traffic areas. 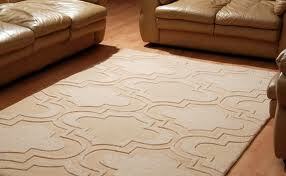 Polypropylene carpet is used in two ways: mixing it with another material or using it by itself. It has good strength, but other carpet materials are more resilient than polypropylene. It is a common option for people who are on a budget, and it is also very easy to clean. It has the ability to withstand stains, except for oil-based spills.